James born LaPorte City, IA. son of Harry & Mary Ann Bagenetos Edsill married 18 Feb 1943 Lancaster, MO. to Marjorie Phyllis Clark born 2 Aug 1925 LaPorte City,IA. daughter of Luverne Allen & Ida Ora Rauch Clark who died 29 Jun 2004 bur: Westview Cem. 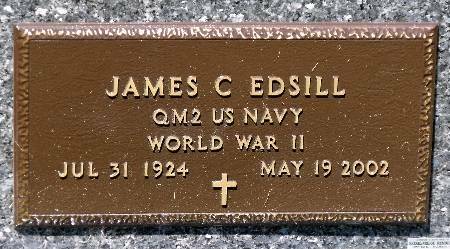 Searching for JAMES C. EDSILL in Black Hawk County Iowa?